These creations come from my visceral reactions to the tremendous suffering I see around us. 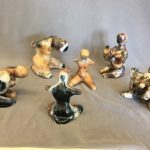 My attempts to foster world peace as well as inner peace can best be achieved through clay, for clay is Mother Earth, and can be transformative, therapeutic, and truly cathartic with its unique ability to heal my body, mind and soul. 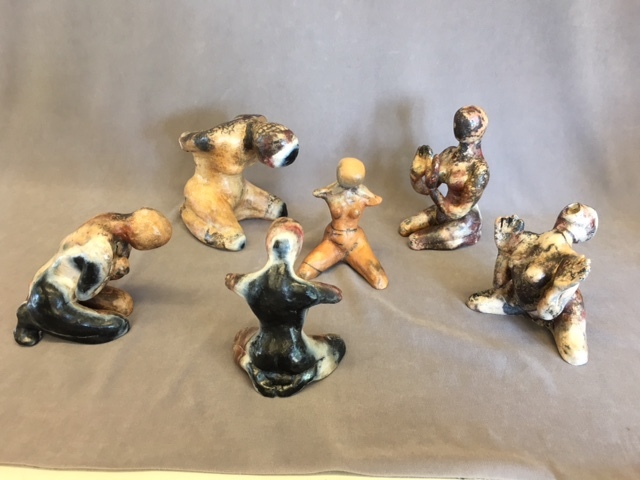 My “Me Too” figures speak my truth, revealed in the final step in their creation, when the toxic gases escaping from the roaring pit fire where my figures were buried, personal traumas were simultaneously released and relief and inner peace prevailed. While I was open to the possibility of my figures exploding in the pit fire, their survival means I have survived and can share my vision for peace with all.